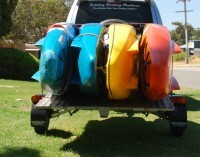 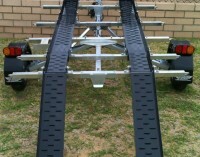 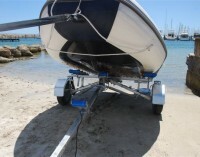 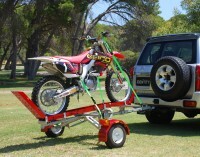 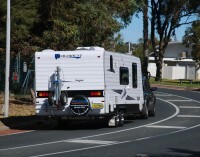 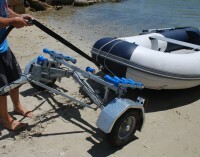 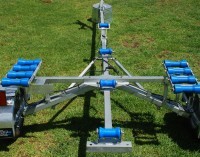 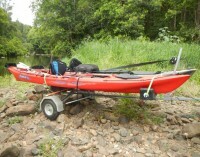 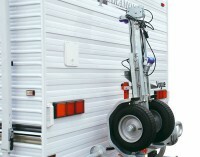 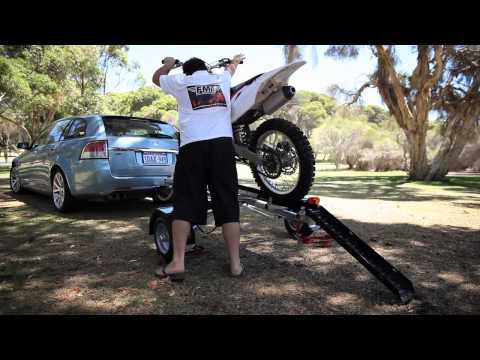 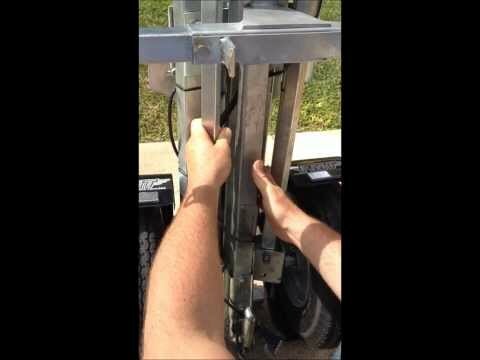 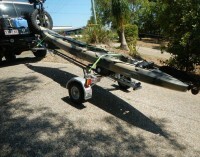 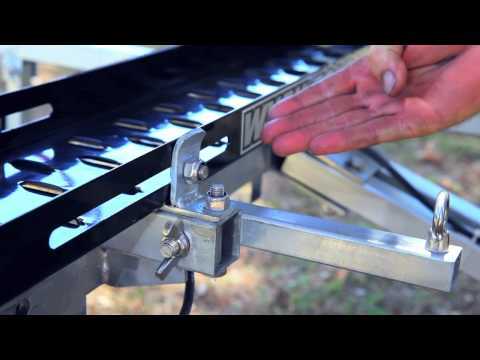 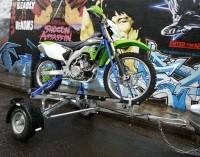 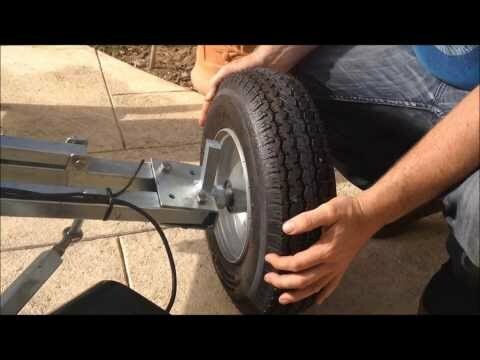 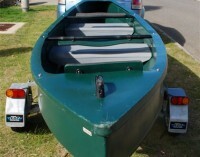 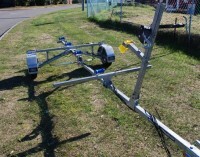 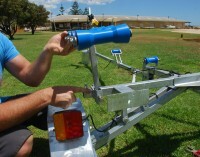 Caravan bracket attachment for your Bulldog FMT – Folding Multi Use Trailer. 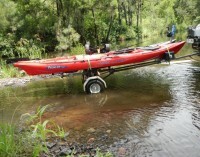 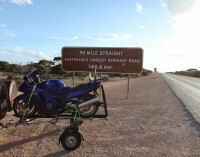 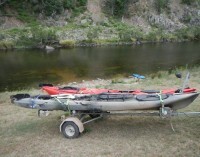 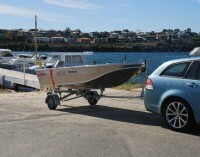 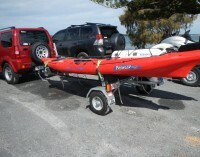 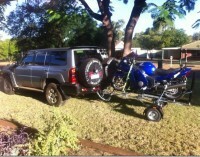 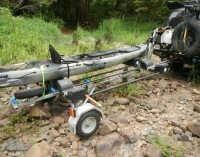 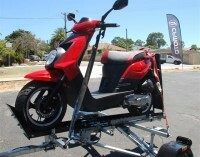 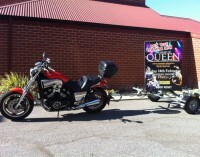 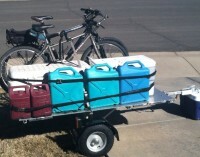 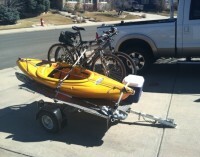 The Bike trailer – taken across the Nullabour. 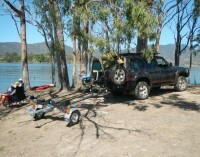 Back of Mt Warning. 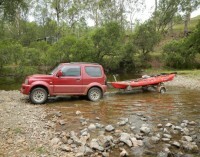 Near the head of the Tweed River, NSW. 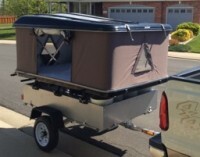 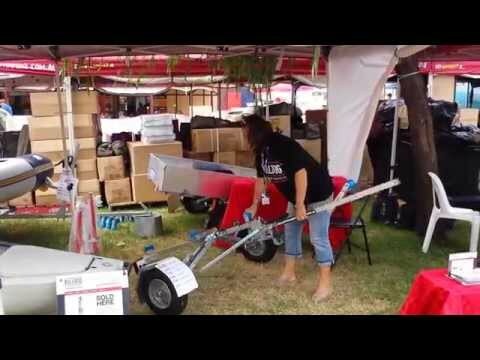 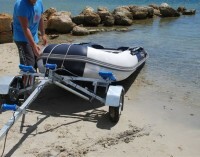 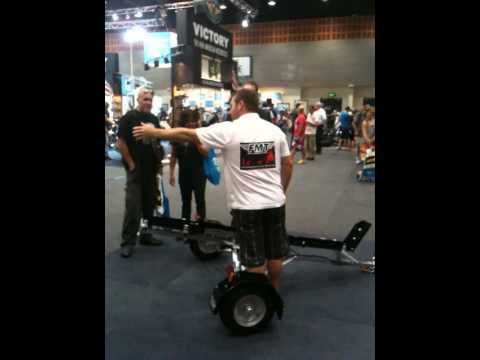 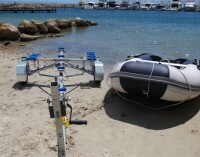 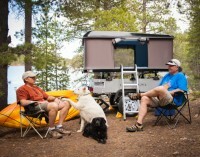 Take the Bulldog Folding Trailer virtually anywhere. 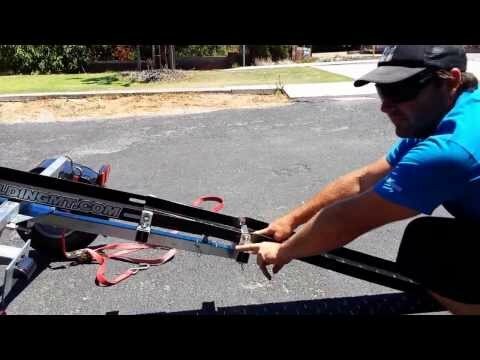 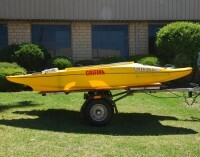 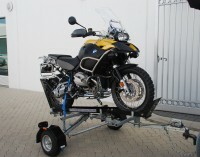 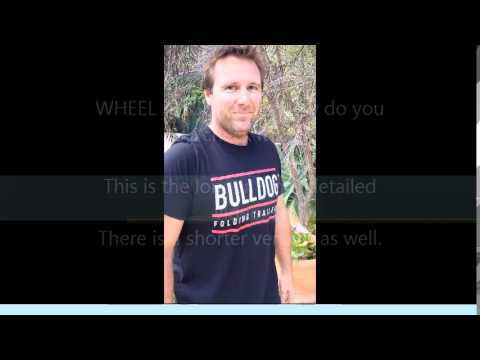 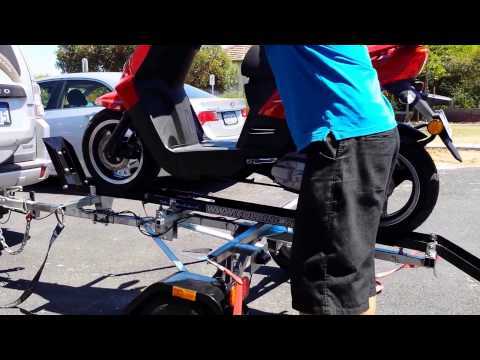 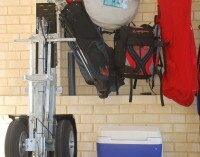 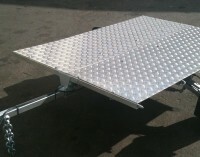 Bulldog Folding Trailer in garage – Space saving.